April is a great month for sports fans, with baseball’s opening day, NCAA championships, the end of the regular NHL and NBA regular seasons, the Masters tournament in golf, and the NFL draft. 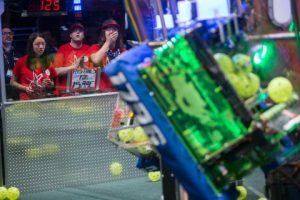 2018’s FIRST Robotics Competition this month in Houston and Detroit is expected to involve 3,650 teams and 91,000 participants aged 14-18. Are you involved in this worthwhile community outreach program? 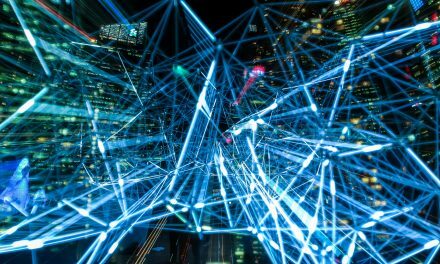 Let’s face it, electronics manufacturing has an image problem. Many of our readers complain about the difficulties they have attracting and retaining the bright young engineering graduates getting ready to choose a career. Manufacturing is seen as boring, or worse — unhealthy and dangerous. Few high school or college students have even been to one of the modern factories where electronic products are born – or attended an industry event where electronics industry professionals practice their craft. Engaging in programs like FIRST® can form lasting positive impressions about how much fun it is to work in electronics hardware careers. FIRST® (For Inspiration and Recognition of Science and Technology) was founded in 1989 to inspire young people’s interest and participation in science and technology. Based in Manchester, NH, the 501(c)(3) not-for-profit public charity designs accessible, innovative programs that motivate young people to pursue education and career opportunities in science, technology, engineering, and math, while building self-confidence, knowledge, and life skills. FIRST®is more than robots. FIRST participation is proven to encourage students to pursue education and careers in STEM-related fields, inspire them to become leaders and innovators, and enhance their 21st century work-life skills. “ECIA member companies provide support in other ways, too,” Conyers continued. 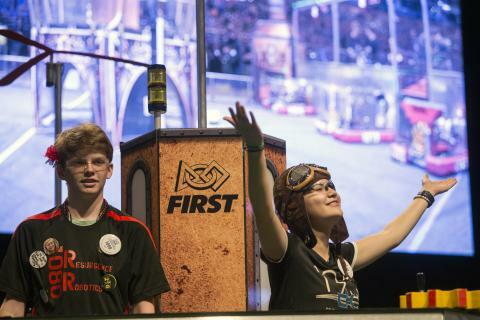 “They mentor teams, sponsor regional competitions and provide direct funding.” When young people see adults they admire and respect who also work in careers in electronic manufacturing, this offsets some of the negative impressions they may have picked up about ‘dirty factories’ or ‘boring’ STEM careers. Through this affiliation, ECIA members have access to FIRST alumni groups of enthusiastic young people interested in a variety of STEM related careers. “ECIA believes this activity has enormous value for its members,” said Conyers. “We spotlight local FIRST teams at our industry events and they get experience presenting their projects, under the guidance of their Team mentor. Our members in turn can reach out to these bright young people and encourage them to consider careers with their organizations, inviting them to apply for internships and so forth. It’s definitely a win-win,” Conyers concluded. At APEX 2018 this year, IPC CEO John Mitchell eloquently explained the urgency of the skills shortage issue in our industry. He has since posted a video outlining the measures his organization will be taking to address the problem. Industry can’t wait for governments or universities to solve this problem. It will take a multi-faceted program of training, internships, apprenticeships, STEM outreach, and funding. It will take creativity and innovation. But that’s what this industry does. Sponsoring a FIRST robotics team is one very fun thing that anyone can do right now.